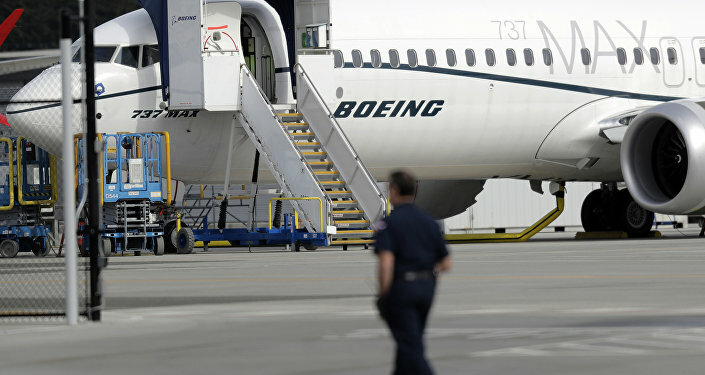 Radio Sputnik has discussed China's reported intention to exclude Boeing 737 Max jets from its shopping list with Captain Desmond Ross, an Australian aviation specialist and the Asia Pacific Vice-President of the International Aviation Security Management Association. Bloomberg reported while citing sources close to the matter that China is likely to request the exclusion of Boeing 737 Max jets from the list of American products it would like to buy. 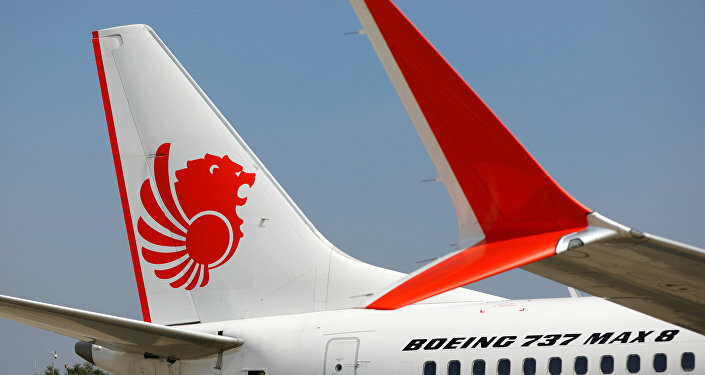 The report said that China could replace it with other Boeing models following the grounding of 737 Max jets worldwide. 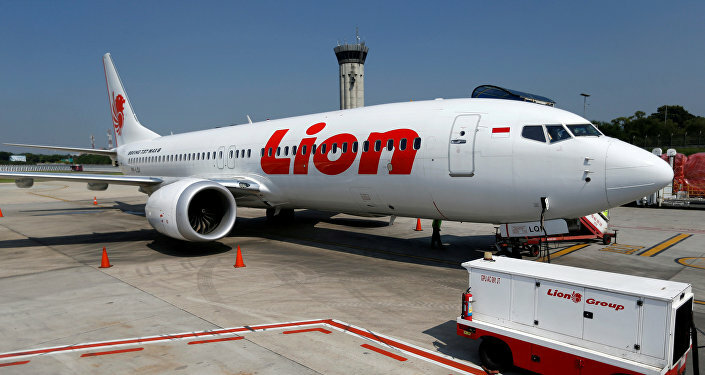 The planes were grounded after the Ethiopian Airways and Lion Air crashes, which killed over 300 people. Both airlines operated 737 Max 8 jets, which have been the fastest-selling Boeing aircraft, according to the company's website. Chinese carriers made up about 20 percent of 737 Max deliveries worldwide as of January. Sputnik: Experts are saying that the crashes in Indonesia last October, the recent Ethiopian crash, bear certain similarities. But let's explain to the laymen just how similar are these two tragedies. Desmond Ross: Yes. There are, of course, mixed opinions and reports coming out of the crash investigation which is ongoing at the moment. There are remarkable similarities, which is very disturbing for everyone. The first flight from Indonesia only lasted approximately 12-13 minutes; the second flight from Ethiopia only lasted about 6 minutes. So both occurrences were during the climb-out after departure. The profile, the one I know about, indicates that in both cases they were bearing an altitude that wasn't smooth climb-out; the aircraft was up and down, up and down, not in a steady controlled fashion. And finally, in both cases the nose dropped and both aircraft went straight into the, in Indonesia's case into the ocean and in Ethiopia's case straight into the field. So, what we are saying is that the flight profiles were very similar. And the other disturbing aspect is that reports are now emerging that in previous flights pilots had reported problems of a similar nature — the inability to keep the aircraft in a steady climb. The pilots were effectively fighting against the controls: the aircraft was trying to do one thing while the pilots were trying to conduct the normal smooth climb-out. They were effectively fighting against the computer-controlled system in the aircraft. These are the essential similarities and we will know more of this when the complete data is analysed from the flight data recorders on the aircraft. But that is how it is looking at the moment. Sputnik: Do we know of cases when there was such similarity between flight profiles involving certain crashes? Do we know of instances like this? Desmond Ross: Yes. Well, definitely. I mean the Lion Air situation in Indonesia that this flight directly before the crash flight, the pilots had arrived into Chicago the night before and they have written up in the maintenance logbooks that they had this problem. They were not all happy with the aircraft's flight characteristics. The engineers checked it that night and released if for a flight the next morning, and the aircraft crashed. We don't have a direct correlation with the Ethiopian one but we do now find that… One of the things your listeners might not know there is what we refer to as an anonymous reporting system worldwide where pilots and aviation people can make reports without identifying exactly themselves or their airline. And this is done for a deliberate reason. It is done to ensure that people are willing to make these reports and not fear retribution, loss of a job or something like that, which has happened in the past. So, when I found that there have been several reports, particularly in the United States over the last few months, which had been filed electronically but had not been analysed by the experts. That is the idea that the reports come in, the experts will then analyse these reports, and if they start to see a trend developing, they can act upon it. But that, unfortunately, did not happen in the United States during the government shutdown. And it has not happened in a few other countries for one reason or another. But it is now emerging that there had been previous similar reports, anonymous reports of flight control difficulties with the aircraft. Sputnik: The preliminary reports have indicated the two planes could have been brought down by a malfunctioning automated system. How high are the odds that this particular flaw could be the reason for the fatal occurrences? Desmond Ross: Well, one hates to pre-empt the findings of the Accident Board, which is what we really should not do. But the indications at the moment are that this particular aircraft 737 Max 8 has had some or what we know is that it has had some control modifications done to it. Because, and Boeing has stated all of this quite clearly, that the aircraft has much larger engines than the previous 737s. So, those engines had to be mounted slightly more forward on the airframe and also slightly higher on the airframe; and they produce more thrust than previous engines. Now, because of all those factors, the aerodynamics change a little bit. It changes the centre of gravity of the aircraft. It is also because the extra power has a tendency to push the nose up when you apply power. So, the automated flight control systems were adjusted through a software programme so that the pilots would have automatic compensation available to them. The aircraft could compensate for this change in weight and power characteristic that was identified. So, the answer to your question basically is yes, it was a software issue involved, the computerised system involved in that issue. And that needs to be investigated. And Boeing is saying that they are bringing out a new software patch, an update to the software — unfortunately, too late for those two aircraft. But it is now being said that the software patch will be available by the end of this month in March.